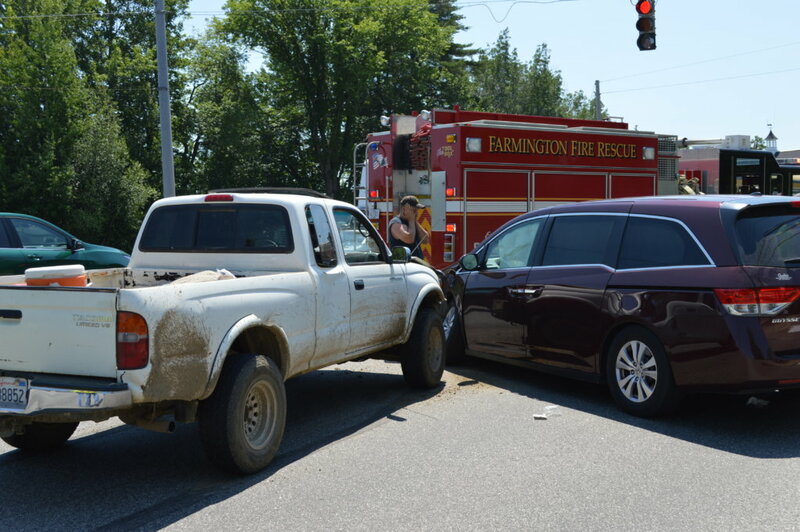 FARMINGTON — A New Sharon couple were injured July 5 when their minivan was struck by a pickup truck at the intersection of Wilton Road and Hannaford Plaza, Sgt. Edward Hastings IV said. 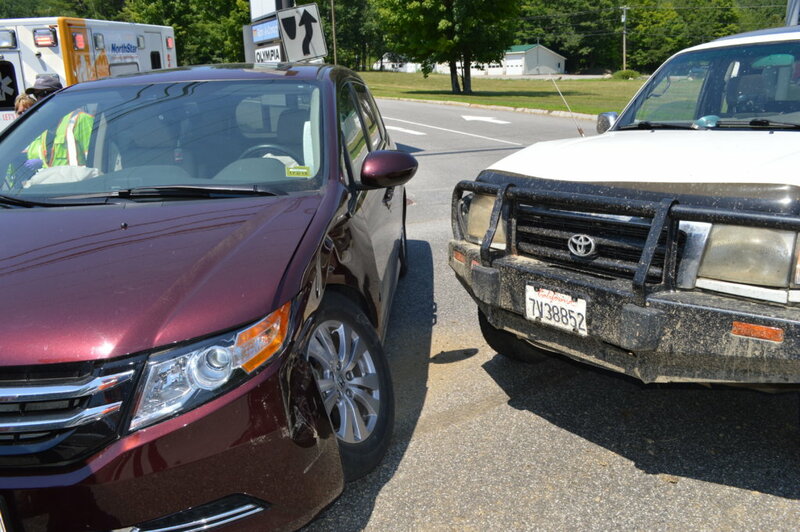 Jason Hoffman, 34, of Eureka, California, was looking at his phone for directions to Walmart and ran a red light, hitting a minivan driven by Wendell Brann, 82, of New Sharon, Hastings said. Hoffman was on the Wilton Road and Brann was leaving Hannaford Plaza. Brann and his wife, Helen Brann, 81, were taken by NorthStar EMS ambulance to Franklin Memorial Hospital in Farmington. Hastings issued Hoffman a summons for failing to stop at a red light and failing to maintain control of a vehicle. Officers Bridgette Gilbert and Darin Gilbert and Farmington Fire Rescue Department assisted at the scene.